The Rice Village lunch shuttle celebrated its one-year anniversary of providing students and staff with access to off-campus lunch options on Sept. 26. Rice University Transportation Manager Elizabeth Gbordzoe said ridership has increased, though it remains lower than other shuttle services. The shuttle service gave a total of 4,453 rides in the last year and is now a permanent addition to Rice’s transportation services, according to Gbordzoe. The Rice Village Saturday shuttle provided a total of 14,915 rides in the same time period, and the undergraduate shopping shuttle gave a total of 7,735 rides, Gbordzoe said. Working with the transportation office, Gbordzoe said she designed and implemented the shuttle service over the summer and fall of 2016, and has monitored the service over the past year. Currently there is one lunch shuttle running on the new route every 15 minutes from 11:30 a.m. to 2:30 p.m. Monday through Friday from the Gibbs Recreation and Wellness Center. 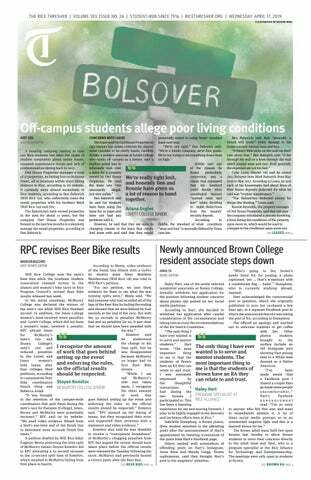 “Many segments of the university, including students, requested repeatedly that we provide a shuttle to Rice Village during the week,” she said. According to Gbordzoe, ridership has increased since the inception of the service last year. However, shuttle driver Michelle Scott reports that the ridership has been relatively constant and consistently lower than other shuttles that she drives. Scott also said she sees many of the same faces among her passengers throughout the week. Brown College freshman Rynd Morgan said she had not known about the shuttle’s existence. “If I knew the shuttle existed, I think I definitely would have used it more. But in my two months here, I have never heard it mentioned even once,” Morgan said. Morgan also said that if the shuttle was better publicized, it could be a great resource for those who often get food delivered to campus or those who do not have meal plans. According to Gbordzoe, there have been various emails to advertise the service that have been sent to the community throughout the last year. Additionally, the transportation department explored other avenues of publicity such as a video explaining the service in order to help advertise the shuttle. Sid Richardson College senior Youssef Machkhas said he was also unaware of the shuttle. Brown College junior Amani Ramiz said she has taken the shuttle before when needing to travel to Rice Village for a purchase. However, Ramiz said she discovered the shuttle on her own and did not hear about it from any university publicity. The transportation department is optimistic about continuing to increase ridership and awareness in the future, Gbordzoe said. Students and staff can use the Rice bus tracking app RideSystems to track the lunch shuttle’s times and location.